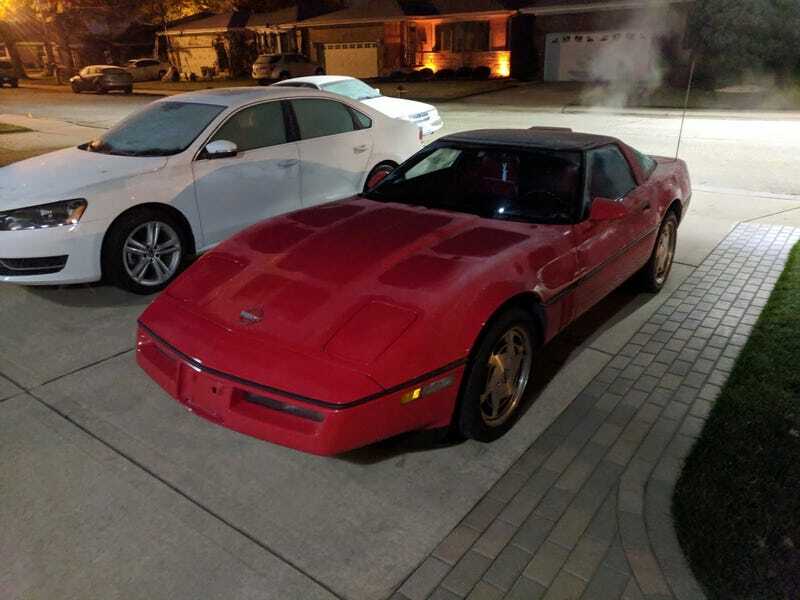 How does a 1989 Corvette like 30 degree temps? Like me, it’s not happy about it, but it makes the most of it. This was after I already cleared the frost off the windows. You hear more noises and the handling suffers. Likely a mix of driving on ice cold summer tires and the tires losing some pressure with the temperature drops.